Home » Archive by Category "Hair ReGrowth"
Do not experiment too much with chemical treatments, ironing, coloring, braiding and rebonding. Every treatment makes the hair a little brittle. If you must, give it enough care and do not do it too often. Hair growth shampoo containing olive oil and egg proteins helps in making hairs soft and shiny. It is best for dry hair. Best shampoo for hair contains natural ingredients. It helps protecting dry and damaged hair and there will not be any side effects. In general, one should allow the hair to dry naturally instead of using the blow dryer. But if one has to use a blow dryer then avoid the high powered ones. In a recent research it is found that all blow dryers take same time to dry our hair; some are nosier and others are not. So expecting a high powered blow dryer will dry your hair faster is useless. 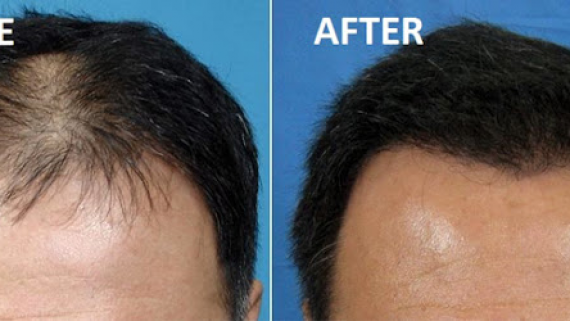 Brush Less to Limit Hair Loss Do not blindly believe in the myth about 100 brush strokes a day. Excessive brushing can lead to hair loss because of pulling. Loosing 50 to 100 hair/day is considered within normal limits. These hair are lost because they have stopped growing and have reached a resting stage. To keep from losing any more hair than normal, use a brush with ball-tipped bristles. And never brush wet hair, use a comb instead.